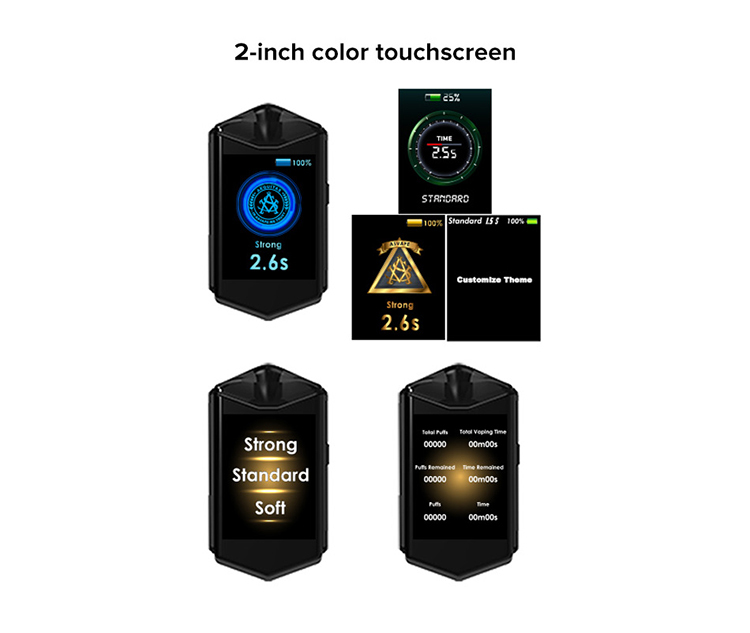 Asvape Touch Pod Starter Kit is the first touchscreen pod system kit . 2.0" touch screen is easy to check data. Smarter chip will record vaping data intelligently. Three modes satisfy various vpaing experience. 1.5ml refillable pod cartridge is included. 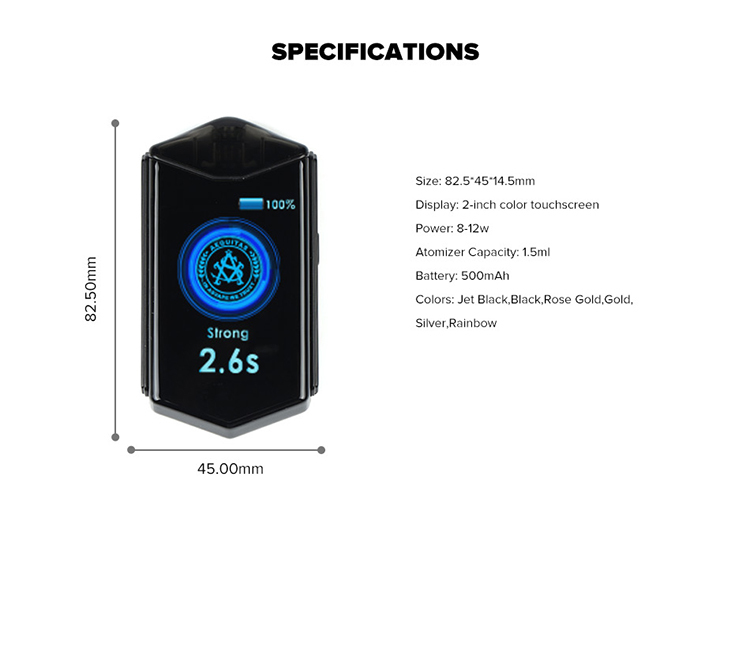 Asvape Touch Pod Starter Kit is the first touchscreen pod system kit which is released of Asvape. The 2.0 inch touch screen is very bright and clear. 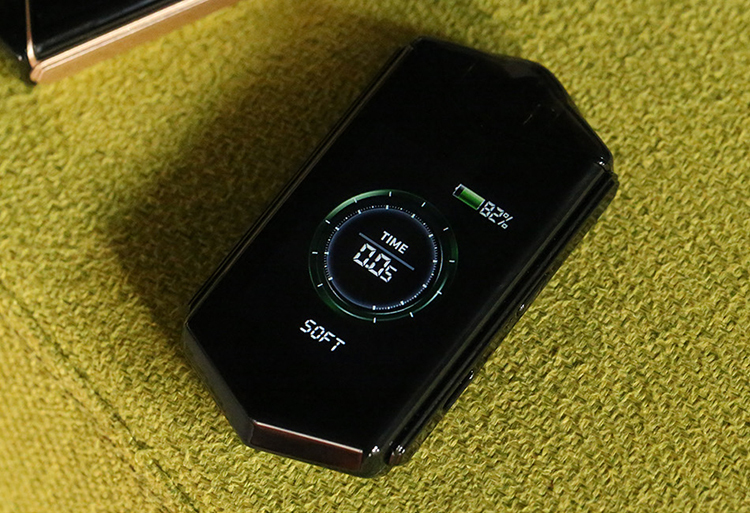 It utilizes a smarter chip to record vaping data intelligently. There are three kinds of modes available: Soft Mode, Standard Mode and Strong Mode. You will enjoy different vaping experience from them. In addition, it also features four themes and supports one customized theme. 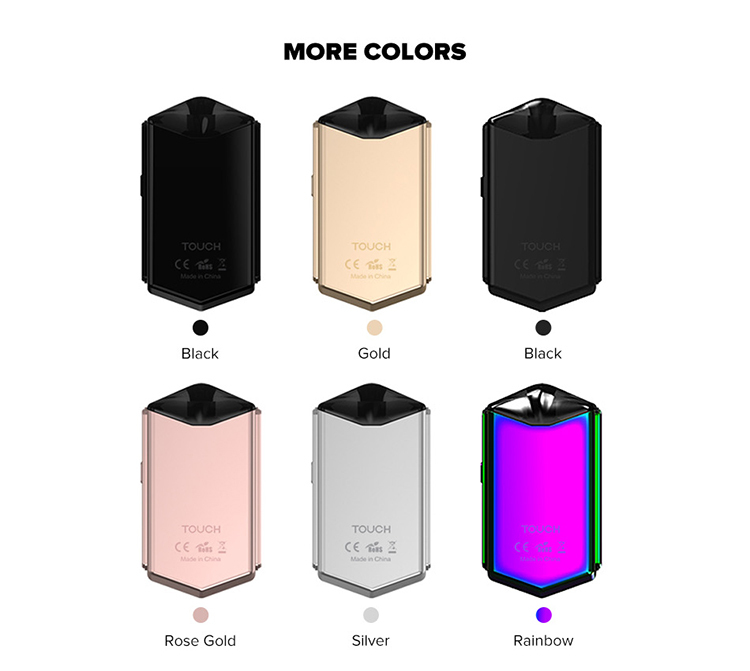 Triggered automatically for vaping, simple to operate. 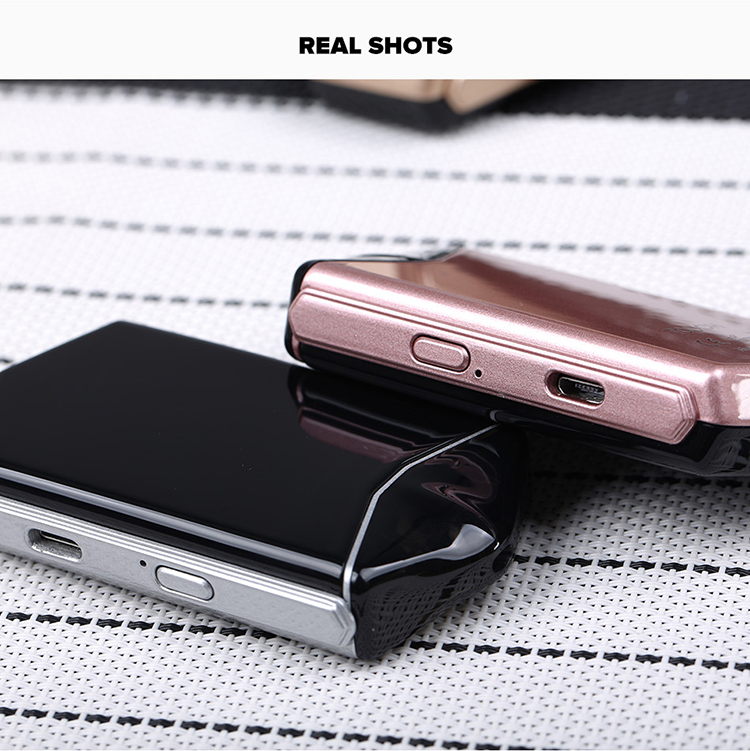 It has 500mAh internal battery that will satisfy your daily vaping need. 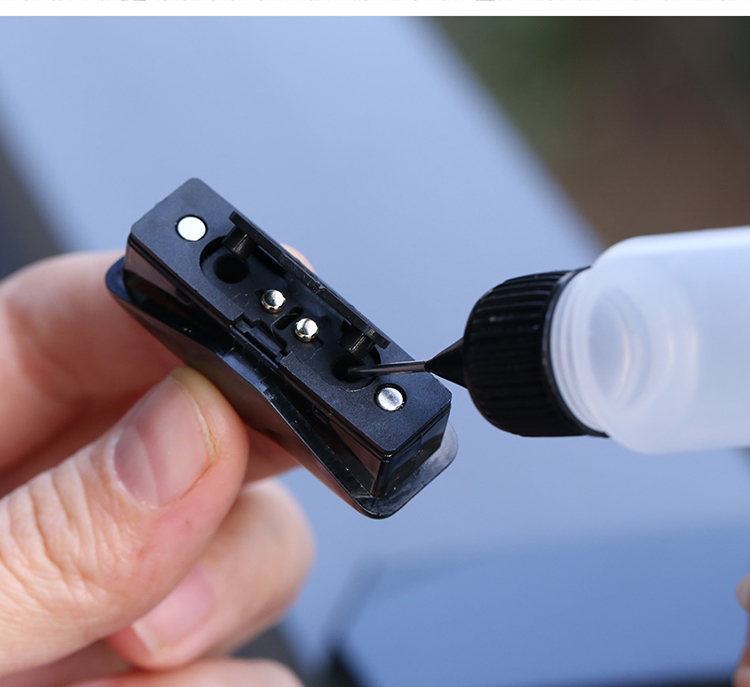 1.5ml pod cartridge comes with magnetic connector, easy to insert into the battery. *Due to the stipulation of factory, we do not send this product to customers in Vietnam, Malaysia, Indonesia, Korea, bahrain, Kuwait, New Zealand, Brazil, Paraguay.